Hi, my name is Dragan and I do not know my shorebirds. If I were to give a speech at the shorebirds conference, those would have been my opening words. Anything else would be a lie. I do not have good shorebird sites near home. What’s more, having mobility issues and not driving a 4×4, such sites are practically inaccessible to me. Hence, I really was a late-starter with shorebirds. Yet, as I was slowly running out of other bird groups that I knew nothing about, I had no other choice but to start learning what I was always running away from: those abominable shorebirds. In the process, I found them far more fascinating than I ever thought possible. Also that process of learning… the more you know your subject, the more you know how much you still don’t know and how small and restricted your knowledge actually is. As a consequence, the more you know – the less you know or, at least, feel that way. 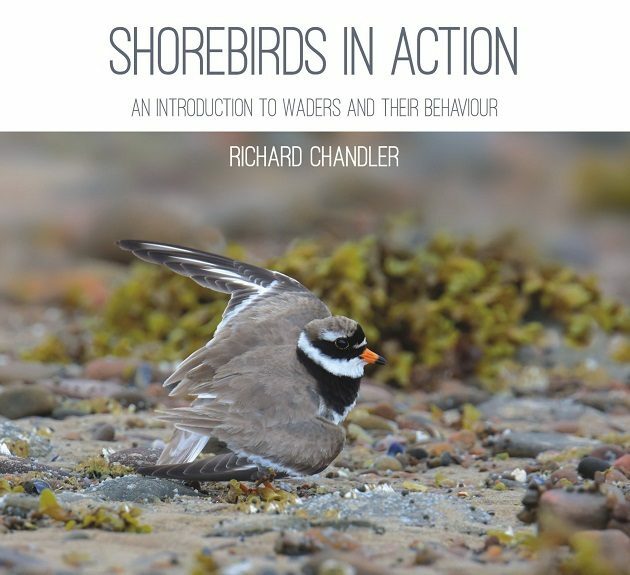 And now I have the new Richard Chandler’s book the “Shorebirds in Action” in front of me. While Chandler authored several field guides, e.g., the “Macmillan Field Guide to North Atlantic Shorebirds” and the “Shorebirds of the Northern Hemisphere”, this book clearly isn’t one. Illustrated by Chandler’s mainly excellent photos, the book shows about 180 species, or some 80 % of the total. Let’s be practical – with an Index in the back and so many photos, it can be used as an identification aid. It is only the general layout that says, no, this is not a field guide. What is it, then? 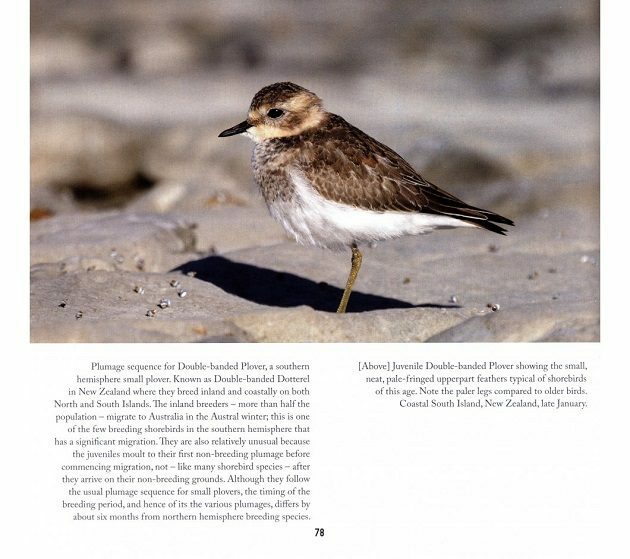 Basically, it is an overview of the world’s 226 shorebird (in Europe: wader) species (following the IOC checklist), proceeded by essays on their plumages and behavior. The first chapter covers the species, the second plumages and moults, the third feeding, the fourth physiology, the fifth breeding, the sixth migration – oh, those migrations – and the last their gregarious habits. The Shorebirds in Action begins with introduction to various families, as a framework for later discussions. Within the Charadriiformes order, the majority of classification studies recognize three groups, the Charadrii (stone-curlews, sheathbills, stilts, avocets, oystercatchers, plovers, lapwings, etc. ), the Scolopaci (painted snipes, jacanas, curlews, the various sandpiper species, snipe and woodcocks, etc.) and the Lari (coursers and pratincoles, also skuas, auks, terns and gulls). 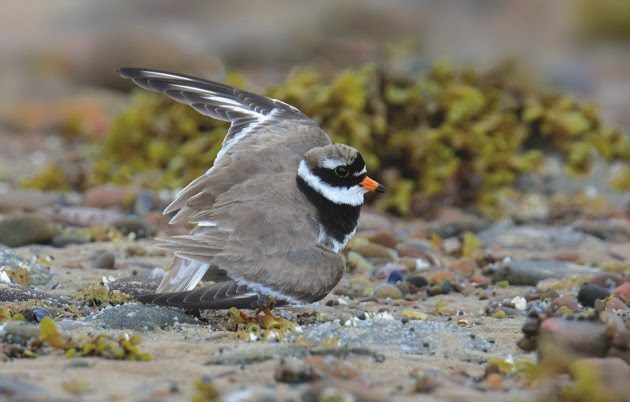 The buttonquails are only briefly mentioned here, while the skuas, auks, terns and gulls are families not generally regarded as shorebirds and are therefore not covered. I haven’t read the entire book so far, only parts of it. And the chapter I found the most captivating is the one on feeding strategies. Have you ever heard of… wait, where was that word, oh, here it is: rhynchokinesis? Have you ever heard of it? Until now, I had not. Yet, I have noticed it in numerous photos of many bird-photographer friends of mine and always thought of it as bill deformities, never asking myself why shorebirds should have such a large percentage of deformities compared to any other group of birds. If I knew enough to ask that question, I would probably discover the answer myself. So, what is that rhynchokinesis anyway? Think of how the shorebirds feed and what would be better than using a pair of stiff chopsticks? I didn’t know that any bird can do it, but shorebirds have flexible bills: they can bend the upper mandible to easier manipulate their food! It is obvious in many photos, yet, probably extremely hard to spot in the wild. Not only deep in the mud, e.g., the flexible bill tip is very useful when preening, but because only a minimum movement is required, it is next to impossible to notice the, what was the word, yes, rhynchokinesis. I, for one, have never seen it. But now I know what is it that I do want to observe: a shorebird, whichever shorebird, turning its chopsticks into a genuine Swiss army knife! Thus, Chandler didn’t just offer a deep insight into these enchanting (and no longer abominable) shorebirds, but also set a new challenge for me, to observe something incredible that, until now, I had no clue existed at all. Chandler has thrown down the gauntlet. Do you still live in Botswana? I will be there, in and around Gaborone during November and December of this year visiting my son. Can you give me some info about the better places to bird, especially shorebirds which I must learn. We will be traveling around somewhat but much of the time I will be on my own with my bins and camera so I need relatively close areas and safe areas where a woman can be on her own. Where Are You Birding This Final Weekend of May 2014?